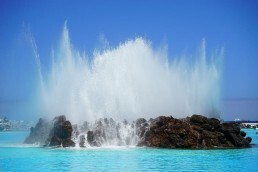 The oldest and the second largest of the Canary Islands, Fuerteventura, is situated in the Atlantic Ocean. Geographically its close to the African continent but it has plenty of its Spanish spirit. Mallorca is a place on this earth that has been visitors with sun, sand and sea for over 60 years. Sure, everybody knows that but not a lot know that there are tons of adventure activities, superb architecture, diverse watersports and an amazing very hospitable culture. Mallorca is ranked as one of the most popular tourist destination of all times, but why is Mallorca a must-go destination? Here are 10 tempting reasons to pack your bags and visit Mallorca! Fuerteventura also known as the island of ‘Great Adventures’ is one of the Canary Islands in the Atlantic Ocean and is considered as a part of Spain. 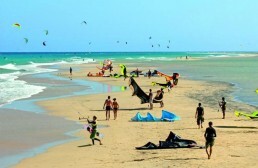 The world sees Fuerteventura as a grand destination and tourism is a major part of its economy. Tenerife is ranked as one of the most popular tourist destination of all times, but why is Tenerife a must-go destination? Here are 10 tempting reasons to pack your bags and visit Tenerife! Finding a perfect location for your holiday is an important task. After a year spent in hard work, the last thing you would want is a disappointing vacation. 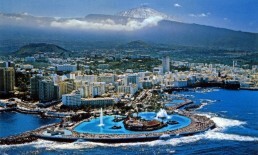 Well, Spain is always a good and safe choice but if you really want to have a nice time, then you should go to Tenerife. Spain is a truly beautiful country with a picturesque environment, amazing culture and pleasant climate. It is not a surprise that tourism is flourishing here for decades and that people from all corners of the world wish to come here and spend their vacation time. But among thousands of different attractions and destinations, Mallorca is definitively the top spot for most of the tourists coming to Spain.